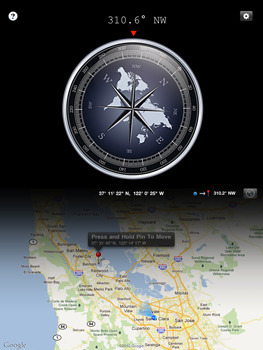 A beautiful compass that really works! 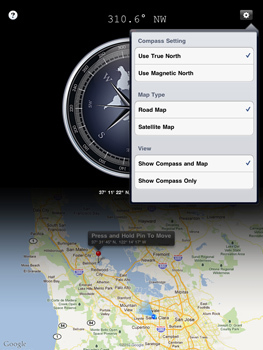 Automatically updates user location and target bearing as you move. Supports both true north and magnetic north. © 2017 Rivolu LLC, All Rights Reserved. 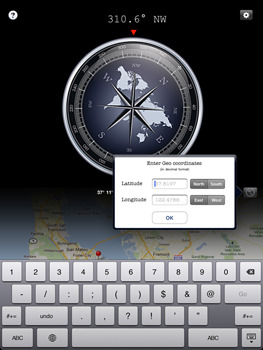 Apple, the logo and iPad are trademarks of Apple Inc., registered in U.S. and other countries.